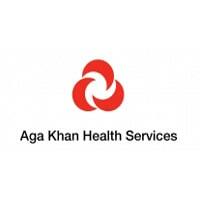 Aga Khan Health Services Tanzania (AKHST] an agency of the Aga Khan Development Network (AKDN) is a non-profit international organization that supports social development programs In Tanzania. AKHST is committed in providing quality health care to patients and promoting health sciences in Tanzania. With this ongoing mandate, The Aga Khan-Health Services Tanzania (AKHST) has embarked on a major expansion that will see the development of tertiary-level services, educational and quality initiatives. AKHST will be implementing a new and exciting project: Improving Access to Maternal and Newborn Health (MNH) in Mwanza, Tanzania (IMPACT). AKHST is seeking a dynamic and qualified applicant for the position of Data Manager (DM) who will oversee the generation, organization, storage and analysis of data to guide program decisions on MNH support to the Ministry of Health Community Development Gender Elderly and Children. S/he will provide essential data management support as assigned to ensure relevance to project activities and develop and maintain robust quality data management systems. Specific attention will be paid to data security and confidentiality. The principle guiding instrument of the DMs’ work will be the IMPACT Project Management Framework (PMF), the Project Logic Model (PLM), and the Project Implementation Plan (PIP). Design, implement, and conduct data management activities originating from IMPACT projects and studies with gender concerns..
Design and develop data management systems and plans for the collection and management of data; Assist in the development of data analysis plans, procedures, and guidelines. Develop and maintain standard STATA/SPSS and DHIS2 programs to ensure accurate and consistent presentation of data to meet AKHST-IMPACT Project data reporting needs. Maintain expert level state-of-the-art knowledge of systems development/ programming techniques through training or consulting subject area specialists. DM will use STATA, SPSS, Epi Info/ Epidata, DHIS2 and any-other online/offline applications developed by the MERL Unit. DM will develop analysis programs for the evaluation and improvement of the data in terms of validity, accuracy, and timeliness. Provide technical support for behavioral scientists, informatics, epidemiologists, public health program managers, PIU Team and other scientists who will be performing implementation research analyses of IMPACT Project supported activities and related databases. Work with national databases managed by various stakeholders including MOHCDGEC- HMIS & DHIS2 and other similar implementing partners, among others. Must be very familiar with the management of extremely large databases – statistical and epidemiological in nature and conversant with the related design methodologies. Strengthen collaboration between/within the districts in data management. Prepare and submit periodic performance reports for the funder and program team (monthly, quarterly, semi-annual and annual) to AKHST and Mwanza PIU Team to facilitate planning and decision making. Provide mentoring support to district and regional data focal persons to ensure proper capture & recording, documentation, use and functionality of HMIS and DHIS2. Perform statistical and epidemiological analysis for abstracts and manuscripts for scientific meetings and publications. Provide workshops on data base management systems, software and programming to PIU, non-statistician researchers, epidemiologists and other stakeholders using data management software as required. Develop presentation materials. Participate in the presentation or publication of results and other technical work done alone or in collaboration with other AKDN or AKHST scientists. He or she will be required to follow any other instructions and to perform any other duties requested by MERL Manager. Bachelor’s degree in Computer Science, Information Technology, Mathematics, Biostatistics, Data Management, Statistics, Economics, and or Physics is required. 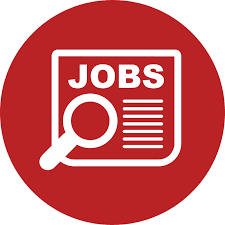 The experience of not less than 3 years in data management or statistical data analysis and reporting in a health related project, clinical or public health setting is required. The experience of statistician analysis of data using STATA/SPSS with convent expertise in DHIS2 programs is highly demanded. Proficiency in the application of standard and advanced statistical methods of study design and data analyses with good knowledge of data manipulation. Fluent in English and Kiswahili. Willingness and ability to travel frequently to rural Mwanza. The Aga Khan Hospital, Dar es Salaam at hr@akhst.org. with the subject line of: DATA MANAGER or hand delivered to Human Resources Department, P. O. Box 2289, Ocean Road, Dar es Salaam, Tanzania or Primary Medical Centre Mwanza. Closing date for submission of the applications is end of business day on 28th November, 2018.